Pat Cummins has become the first Australian since Glenn McGrath to top the ICC Test Bowler Rankings in the recently released rankings. In case you didn't know? Pat Cummins has been in fine form in the series played against India and Sri Lanka. He was the lone bowler who troubled the Indian batting, picking 14 wickets in the series they lost 3-1. In the recently concluded series against Sri Lanka – which they won by 2-0 – Pat Cummins was in excellent touch as he picked 14 wickets, which included a 10-wicket haul in the first match. He was adjudged as the Man of the series for his stellar performance. The 25-year-old moves past Kagiso Rabada to become the number one player in Tests. Rabada recent lacklustre performances see him drop to 3rd place with English pacer James Anderson occupying the second spot. Rabada’s figures read 3-145 in his last match against Sri Lanka, a match they lost by one wicket after an amazing innings from Kusal Perera in the fourth innings. 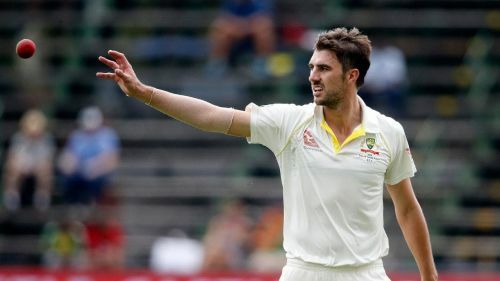 The last time an Australian topped the ICC Test Bowlers Rankings was 13 years ago in 2006 when Glenn McGrath occupied the top spot. Mitchell Johnson was the last Australian bowler to come close to the summit when he reached the second spot in 2009. Australia plays England in August as they look to retain The Ashes trophy. Pat Cummins will look to defend his top spot while Rabada will seek to improve his ratings in the second and last Test against Sri Lanka. The last test will provide Rabada with one final opportunity to close the gap with Cummins. The Proteas will then turn their attention to the limited-overs format as they start their final preparations for the World Cup.